Welcome to a new series on The Final Wager: Fact Primers. In each installment, I’ll lay out some basic facts on something that might be useful either for Jeopardy! or for general life, with tips to help you to keep them straight – and readily accessible in your mind. Dime, quarter, nickel, penny: for this first entry, we’ll take a look at U.S. coins in current circulation. First, two terms you should know about the faces of a coin. 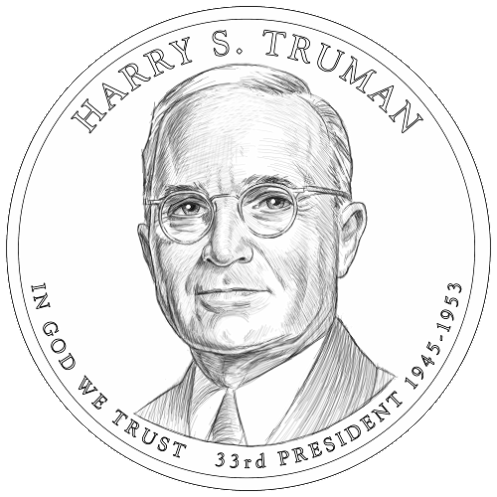 The obverse is the front; typically, it features a profile of a famous person. The reverse is the other side. Also, the formal name for coin-collecting is numismatics, which has a long derivation going back to the ancient Greek nomos, custom. 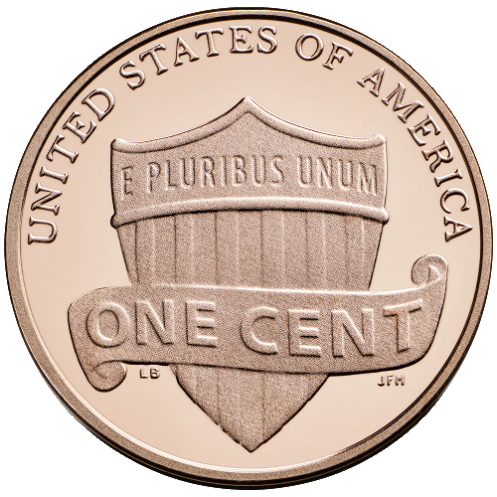 Not only does the penny (technically called the one-cent coin) have the largest circulation of any U.S. coin, its obverse design is the longest unchanged: over 100 years with minor tweaks. Since 1983, it has been composed of a 99.2% zinc interior covered by copper plating. The FJ! in Brad Rutter’s Million Dollar Masters quarterfinal suggested the zinc industry was “up in arms” over the proposed elimination of the penny. From 1959 to 2008, the reverse featured the Lincoln Memorial; at that time, it was the only coin for which the same person appeared on both sides. In 2009, to celebrate the 200th anniversary of Lincoln’s birth, a special series with four scenes from his life played on the reverse. The penny actually costs more to make than it’s worth: 1.83 cents in 2013. This means it has a negative seigniorage, defined the difference between the coin’s cost and its face value. 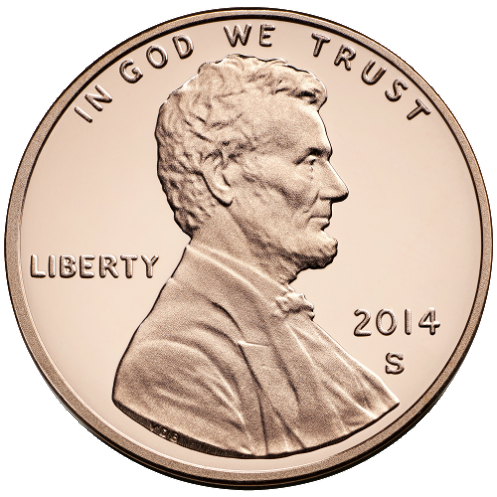 Mnemonic: The penny can buy anything from Abe to Zinc. 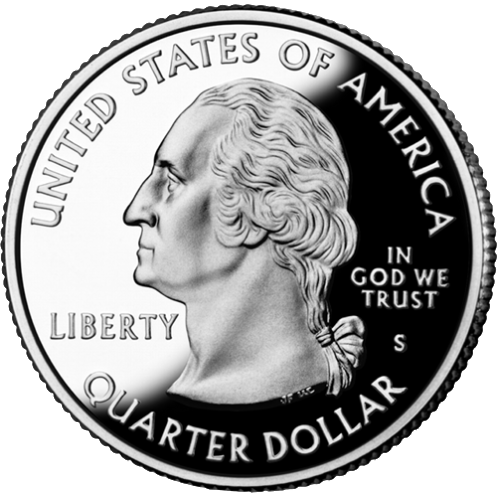 The nickel got a makeover in 2009, with a three-quarters profile of Jefferson replacing the side view. This profile is based on an 1800 portrait by Rembrandt Peale, when Jefferson was Vice President. His home, Monticello, graces the back. In 2004-2005, it was replaced with scenes from the Lewis & Clark expedition to mark the excursion’s bicentennial. 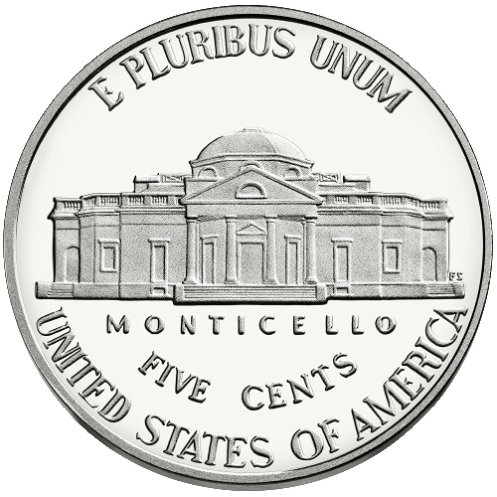 The present five-cent piece, therefore, is called the “Return to Monticello” nickel. This coin is 75% copper and 25% nickel. 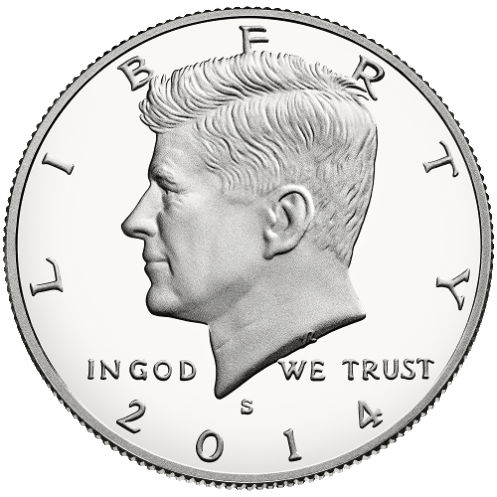 At 1.75 mm, it has the greatest thickness of any coin other than the half-dollar and dollar, and a smooth edge. 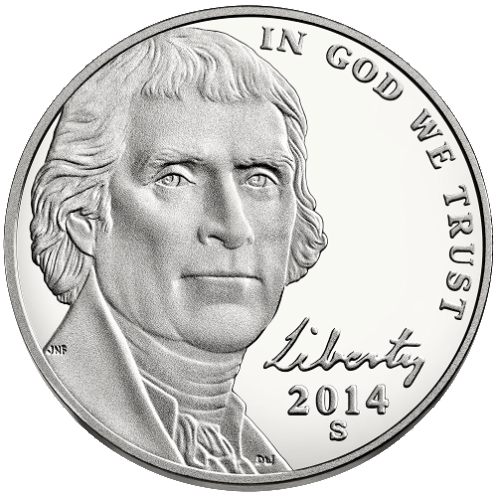 Mnemonic: We might not have a buffalo nickel if Jefferson hadn’t sent Lewis & Clark out west. It’s also the smallest coin, for whatever reason, but that doesn’t stop it from having 118 notches, or reeds, along its edge. Reeding prevented counterfeiting in the time when coins were made of gold and silver. 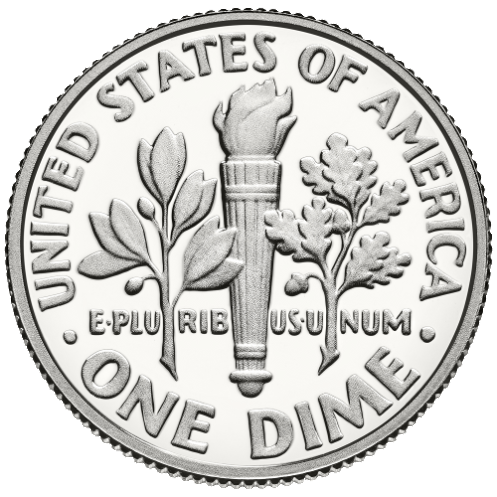 The dime, the quarter, and the half-dollar are all 91.67% copper and 8.33% nickel. Mnemonic: FDR founded the March of Dimes. In 1999, the “50 State Quarters” program began. 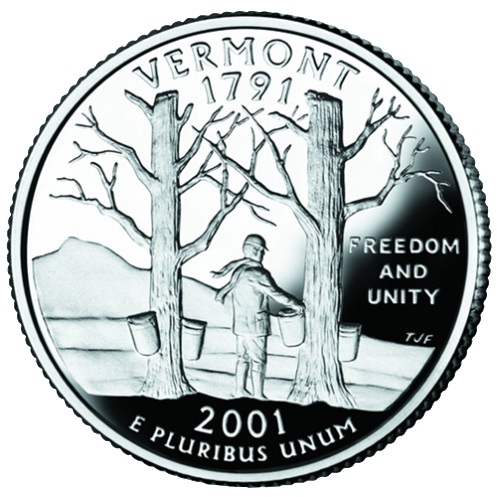 Five times a year through 2008, a new state would have a reverse minted in its honor, in order of admission to the Union. That resulted in a $3 billion seigniorage profit for the U.S. Mint, so they kept things rolling. In 2009, D.C. and United States territories got their own quarters; now we’re on to the “America the Beautiful” series, which features five different national parks or sites each year. That will continue through 2021. In 2015, we’ll see quarters for Homestead National Monument (Nebraska), Kisatchie National Forest (Louisiana), Blue Ridge Parkway (North Carolina), Bombay Hook National Wildlife Refuge (Delaware), and Saratoga National Historical Park (New York). From 1968 to 1999, the reverse design was an eagle, with the exception of 1975-1976, which had a drummer for the nation’s bicentennial. The quarter has 119 reeds along its edge, one more than the dime. Mnemonic: When Washington became our first President, we had only a quarter of today’s 50 states. 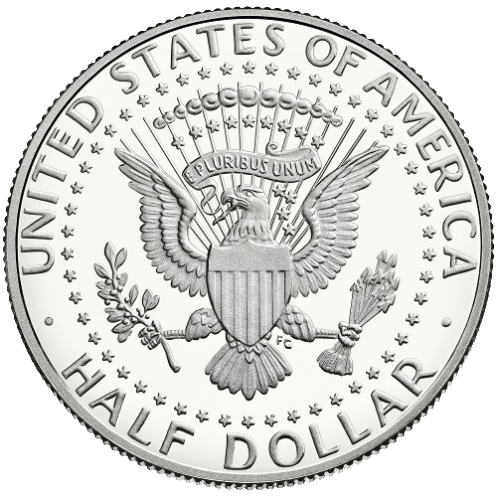 Now rarely seen in the wild, the half-dollar is one of two coins that has been minted every year since the U.S. Mint was founded in 1794 (the penny being the other). The only place I’ve found half-dollars are at casinos so that the dealer can pay out a blackjack on an odd-dollar bet (e.g., $15 -> $22.50), but even then, they’re an unusual sight. Why is that? One big answer: slot machines. Now that most slot machines are electronic, half-dollars are almost worthless. They’re too bulky to be of any use and vending machines generally don’t accept them. The Mint only prints collectors’ editions these days, because they have such a large inventory from past years. The half-dollar has 150 reeds, and is the thickest coin in circulation, at 2.15 mm. Mnemonic: JFK was shot halfway through his first term. Too bad he didn’t have a shield to protect him. There are two versions of the golden dollar. The first came out in 2000, 19 years after the Susan B. Anthony dollar was removed from circulation. 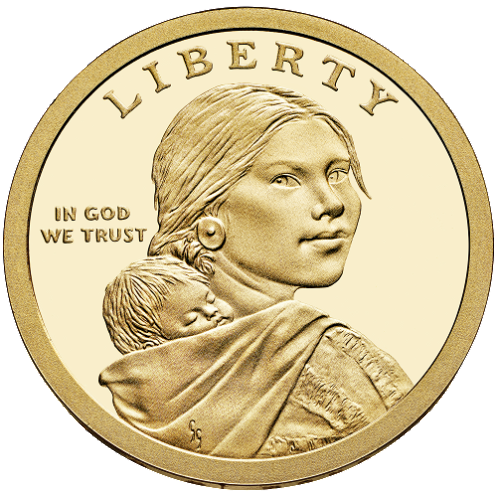 Its obverse features Sacagawea, the Shoshone woman who served as guide and translator Lewis & Clark, carrying her first child, Jean Baptiste Charbonneau. 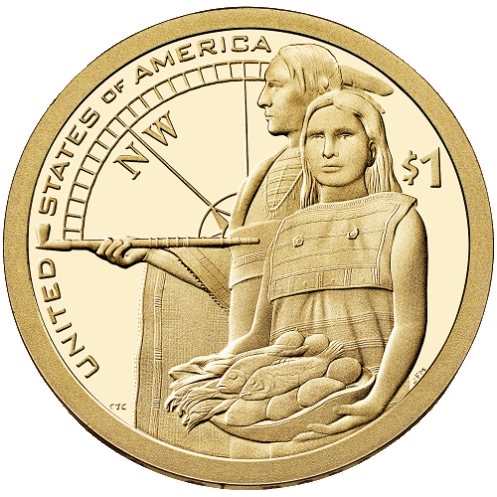 The reverse changes from year to year; those minted in 2014 show “a Native American man offering a pipe while his wife offers provisions of fish, corn, roots and gourds,” and has a compass in the background showing NW. 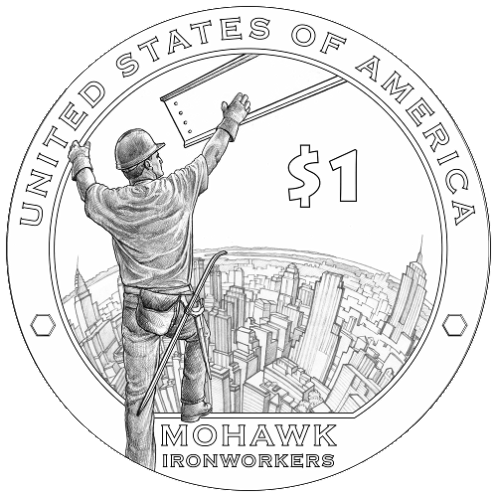 2015 and 2016 will feature Mohawk Ironworkers and Navajo Codetalkers. Mnemonic: Dollar coins are so heavy Sacagawea has to carry them over her back! 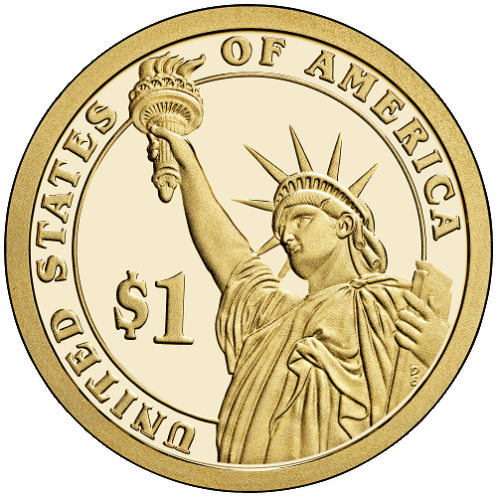 The other coins are part of the Presidential $1 Coin Program; a president (deceased at least two years) is on the obverse, while the Statue of Liberty graces the reverse. 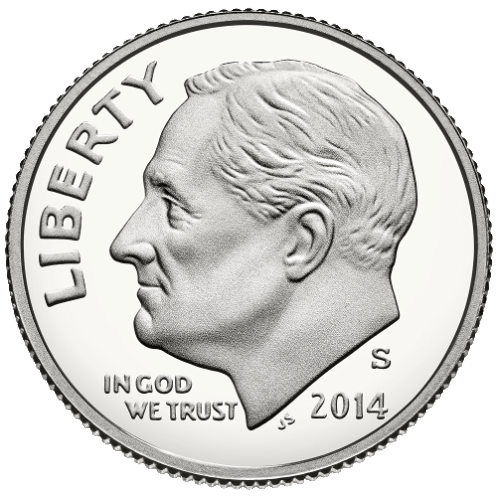 On the edge is E PLURIBUS UNUM, the year of minting, and the mint marker (see below). Both dollar coins are 77% copper, 12% zinc, 7% manganese, and 4% nickel. 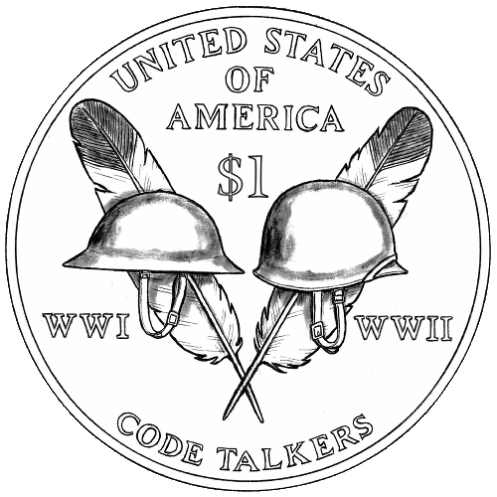 San Francisco (S) and West Point, New York (W) also have coinage mints, although you don’t generally see their output in circulation; they’re mostly for collectors’ coins. I thought I remember reading somewhere (probably Wiki, so take with a grain of salt) that the Presidential dollar coin program was effectively dead due to low use, but they’re continuing to make them for collectors. That being said, I didn’t know they were coming out with new dollar coins in ’15 and ’16…or that the Sacagawea dollar got a new reverse. Hey, I like this series! When game theory gets too heady for me, this will be a nice change of pace.